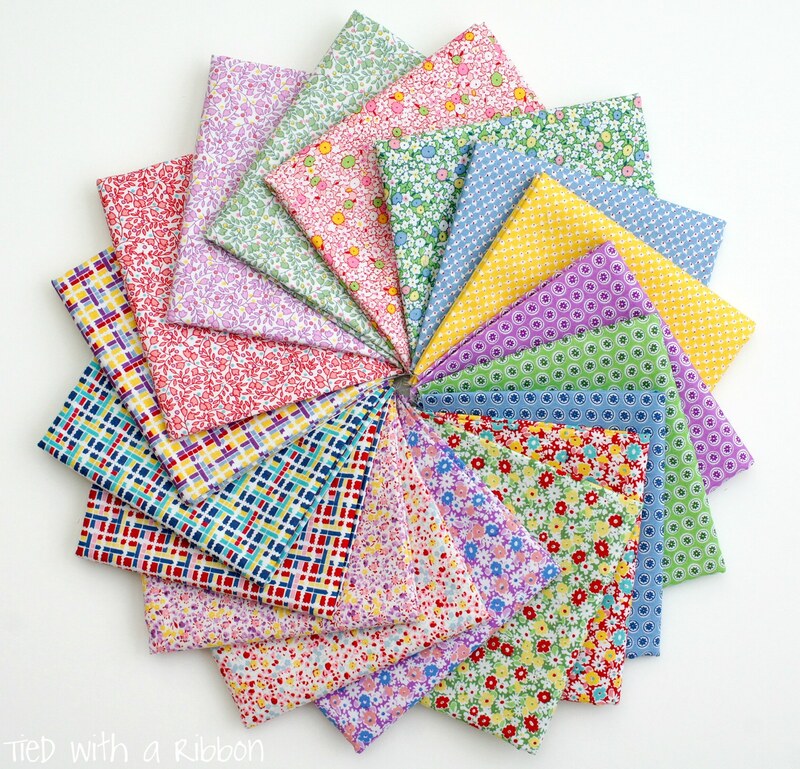 I love Reproduction and 1930's Fabrics. 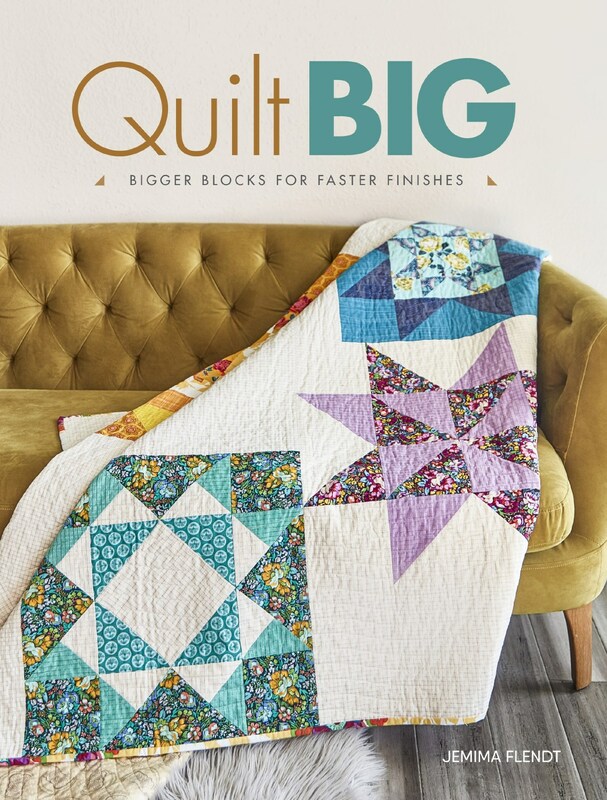 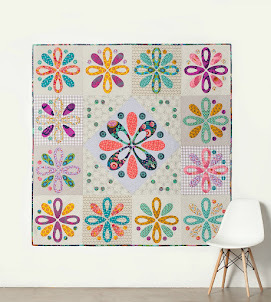 This new collection - 30's Minis by Erin Turner for Penny Rose Fabrics is ever so cute with the small scale of the prints and vibrant colours and patterns. 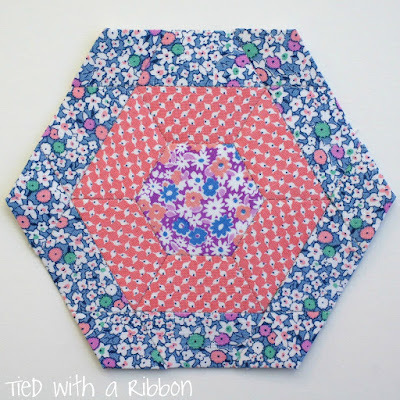 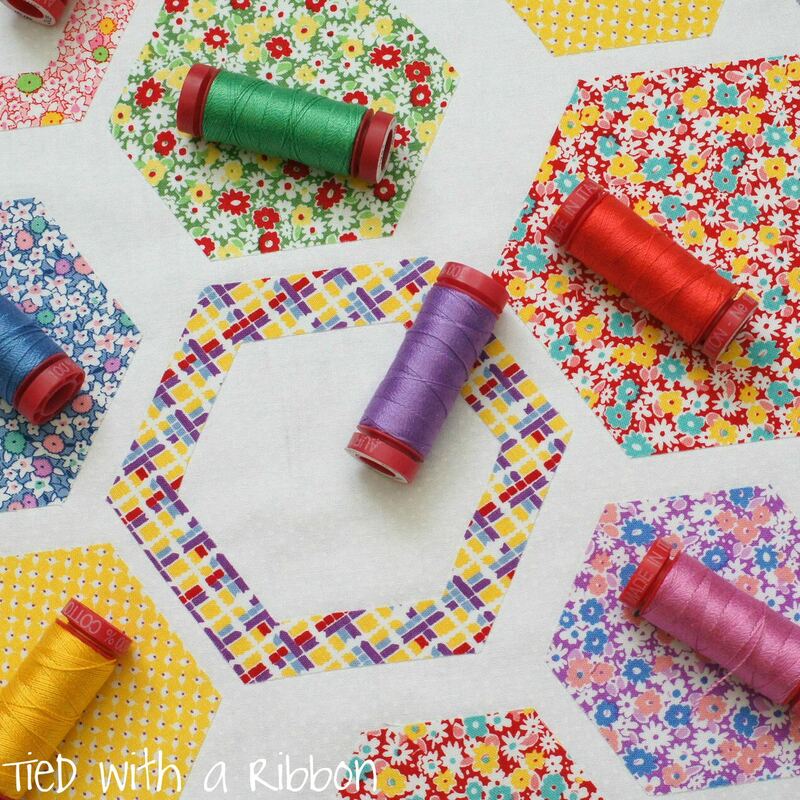 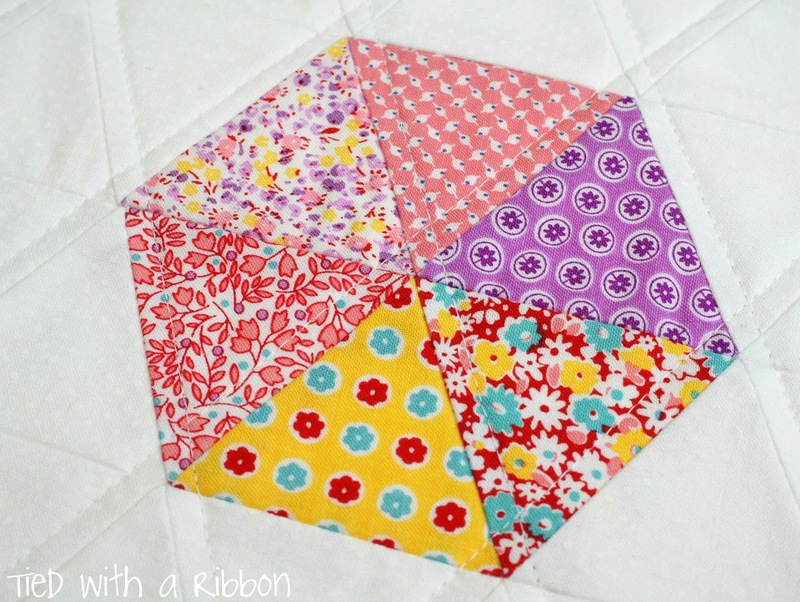 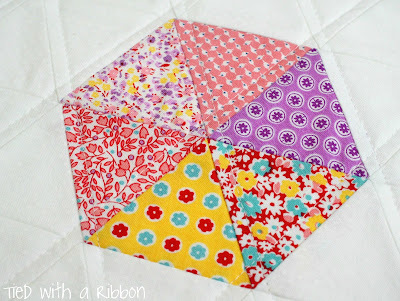 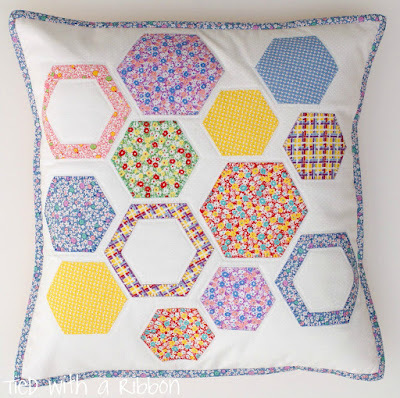 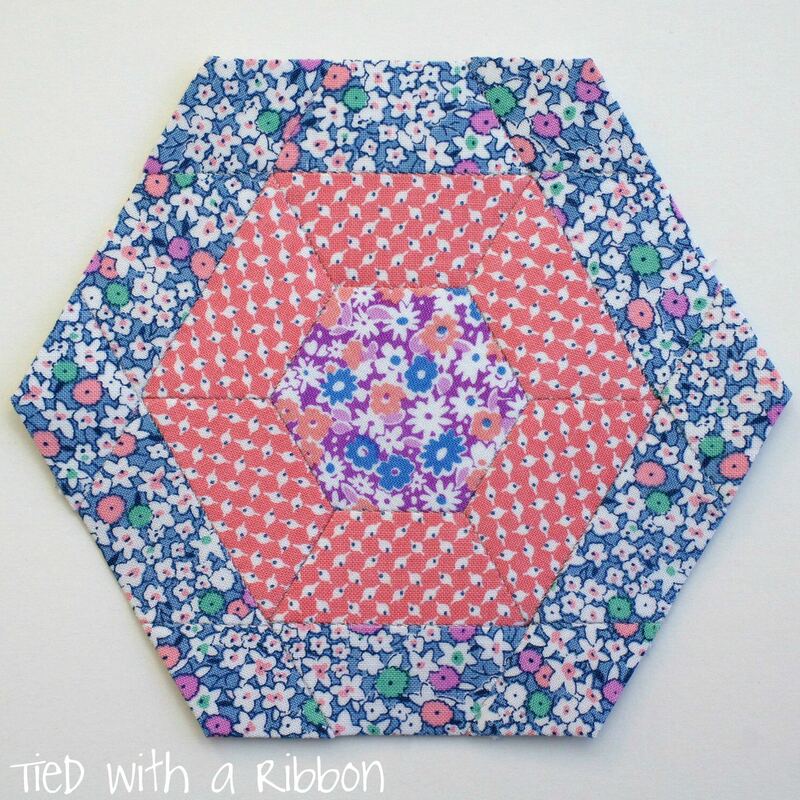 I set about creating a Sampler Style set of Cushions based on Hexagons for this pattern. 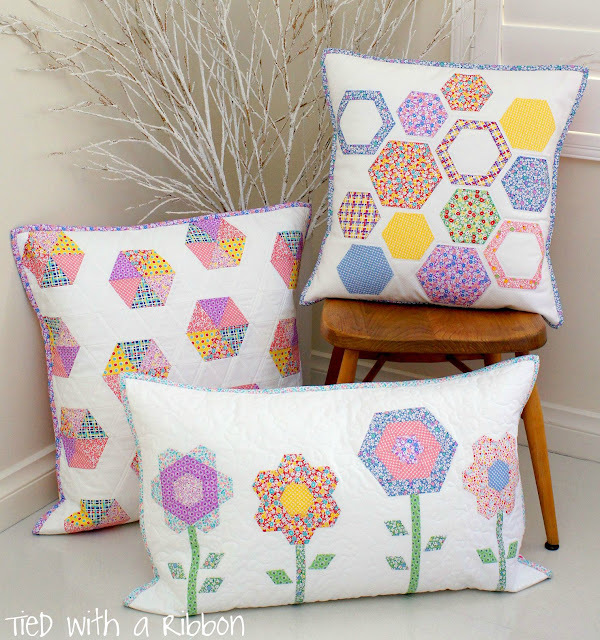 I have used Machine Sewing, Appliqué and English Paper Piecing to create this Cushion Trio set. Each cushion is a different size so that they can be used as a set or to give the variety for different places around the home. The "Gumballs" Cushion is machine sewn. 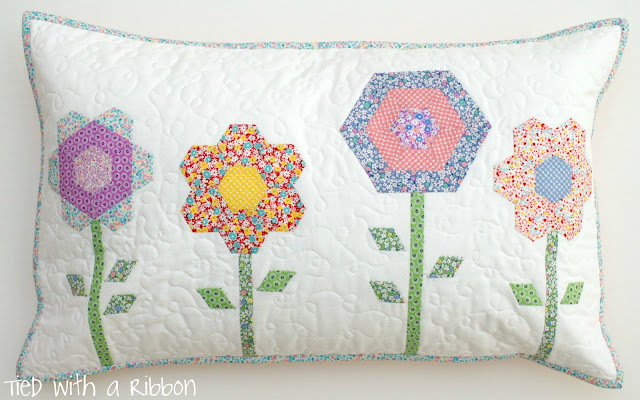 This Applique cushion can be either sewn on the Machine or by hand. 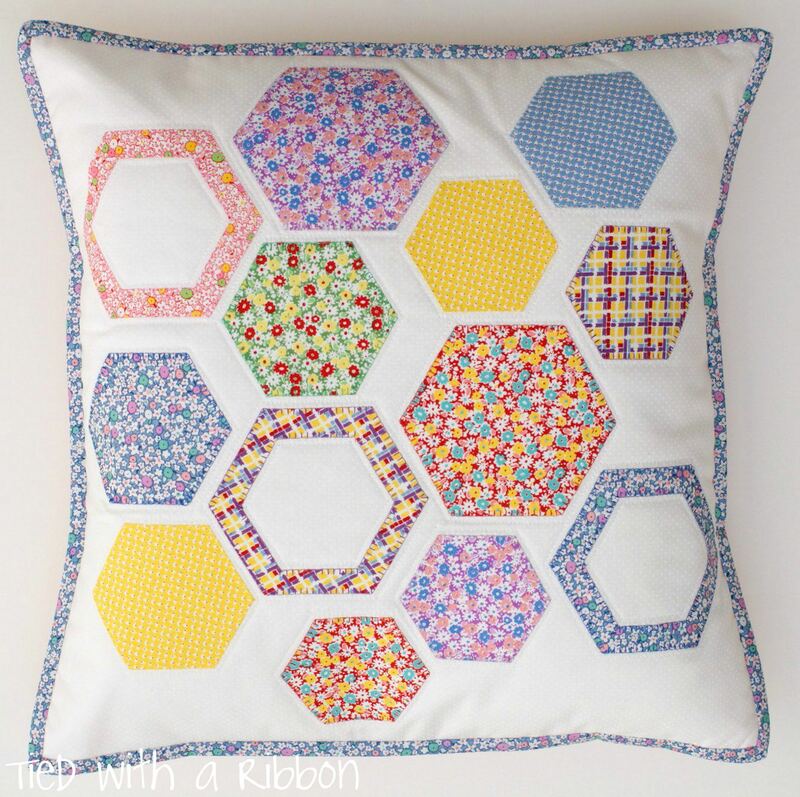 And as my love for English Paper Piecing grows - I could not resist to make this "Grandmothers Flower Garden" inspired cushion using Hexagon Papers and 6 Pointed Stars - all sewn by hand. 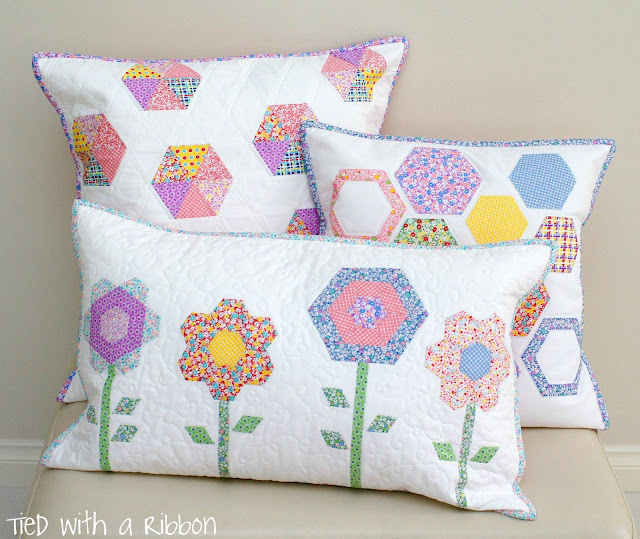 The Pattern to make this Hexology Cushion Trio Set is now available here at my Website or Etsy Store. 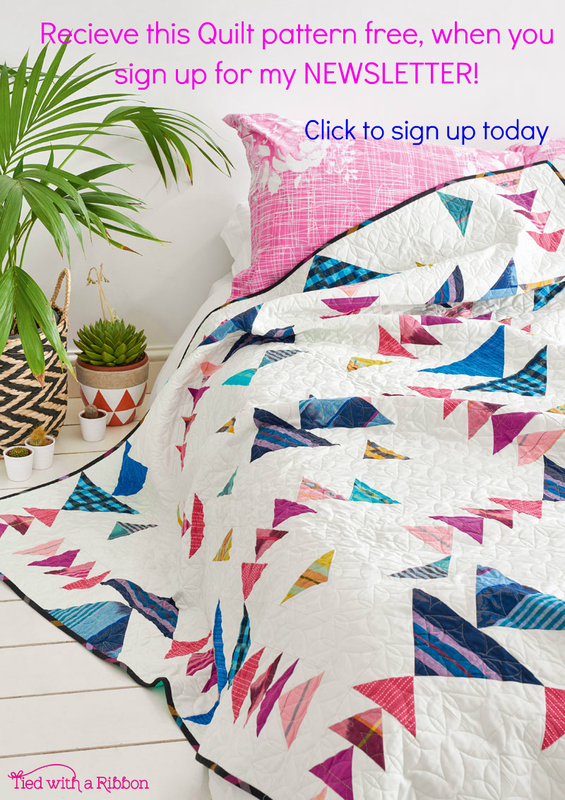 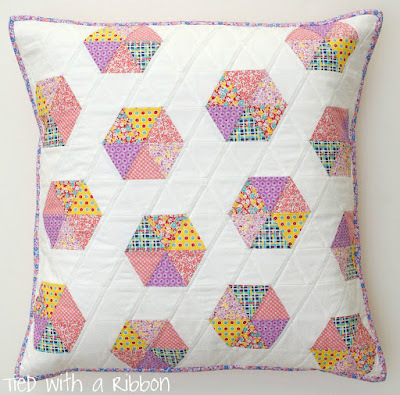 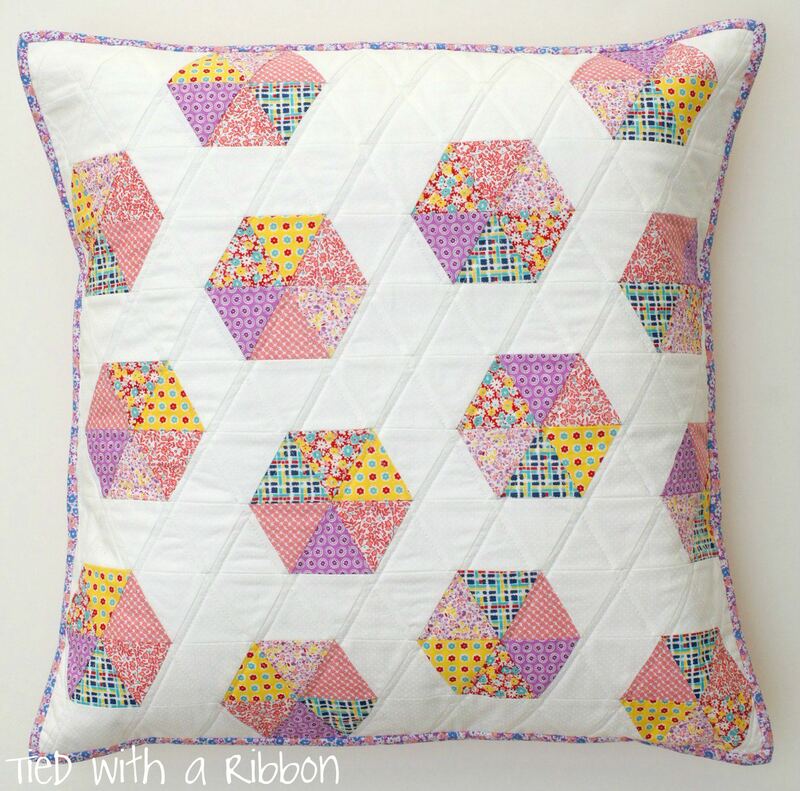 The pattern contains plenty of instructions and photos to help you make all of these cushions.